An earthquake in Masada, Israel, kills hundreds and reveals a tomb buried in the heart of the mountain. A trio of investigators - Sergeant Jordan Stone, a military forensic expert; Father Rhun Korza, a Vatican priest; and Dr. Erin Granger, a brilliant but disillusioned archaeologist - are sent to explore the macabre discovery, a subterranean temple holding the crucified body of a mummified girl. I've read all of James Rollins' books. I buy and read/listen as soon as each new one comes out. I was surprised when I was disappointed in this one. The story seemed to be a series of hackneyed elements from other series and books I've read over recent years. The characters' dialogue was juvenile in many instances. I expected someone to come out with "golly gosh" at any time. 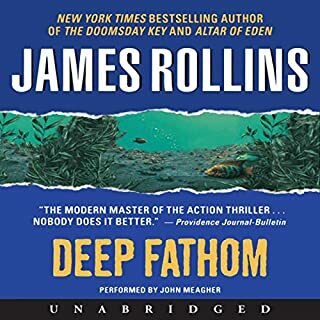 Overall it didn't read/listen like a true James Rollins book with the action rolling me along to the point that I could not put the book down. Please where is Sigma Force?? The redeeming quality was the narrator. He brought life to the mostly cardboard characters with his voice. Would you try another book from James Rollins and Rebecca Cantrell and/or Christian Baskous? I didn't like it at all. 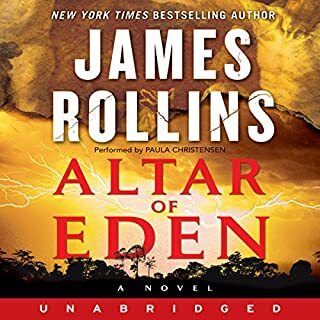 I've always been a big fan of James Rollins, will not read any more collaborations. None in this book, which is not typical. I was angry that it was not the intelligent, action adventure I've come to expect from James Rollins, this was just another vampire book and not a particularly good one. 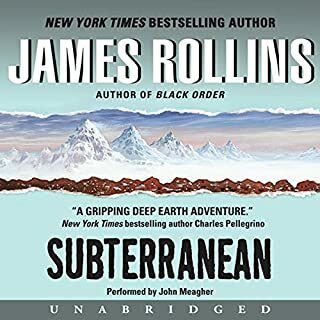 I hope James Rollins goes back to Sigma Force with intelligent, capable, multi-talented real people in interesting quests. I have listened to the first 15 minutes of this book and i do not think that i will be able to listen to the rest. Why didn't the author's have Peter Jay Fernandez do the reading. when you have a good reader why change????? Um, What Was This Book About Again? Yeah, as a fan of Rollins' Sigma Force stories, as well as most of the stand alones, I was expecting a rip-roaring tale from "Blood Gospel." I don't know, either this was the driest vampire tale I've ever read or it was the driest vampire tale Baskous ever read, but this one tried to put me to sleep. Though, out of my respect and enjoyment of past Rollins tales I did make it through all 12+ hours! Guilty vampires are interesting if their guilt drives them to action (Blood Oath). Pious guilty vampires, turns out, are a lot less interesting. Baskous' narration, with its white-noise pitch and cadence, didn't help. He wasn't feelin' it, or maybe there just wasn't much to feel. I never read James Rollins or Rebecca Cantrell before but heard so many rave review that I had to give it a go. I LOVED this book. A mystery wrapped in history, religion, and the supernatural. Right up my alley! My only complaint is that this is book 1 and now I have a lot of waiting to do. James Rollins goes full on twi-tard. Previous novels released from James Rollins were riveting, thrilling page turners. Unfortunately, his latest work is not. To put it bluntly this work feels to have heavily borrowed from the twilight series. Also the narrator is a bit dry and unsuited for this reading. Vampires, really? Once I discovered this "plot twist" the book lost all appeal to me. I attempted to return it, however there seems to be some issues with audible returning this work...of...well something. If this character trait was revealed within the book summary I would have saved some $$$ and moved on...Hopefully someone else will see this and have this additional information and move on to something a little more worthwhile. Priests and Vampires and Archeologists, Oh My! I loved this audio book. 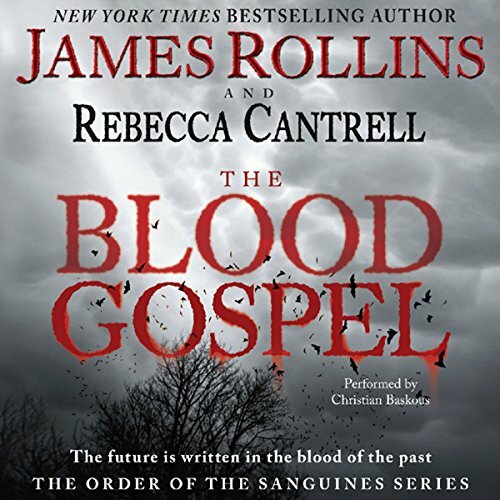 James Rollins and Rebecca Cantrell worked together to create a hybrid of their individual genres and I think it works. I like the twists on accepted wisdom with regard to the Church. It is certainly possible that devout Christians might be somewhat offended by the storyline and they should consider reading something else. As an amateur scholar in First Century Christian History, I really enjoyed the extrapolations from real history into a really wild, romantic "what if?" story. Let us remember that vampires in the story allow the writers to time travel with characters in real time which is a very effective literary device. The story can span many centuries and provide first person perspective on remote events in history without the worry of how the flux capacitor works. Christian Baskous, who did the audio version, did truly excellent work with the reading. He created each of the myriad characters as utterly distinct from one another, from a mysteriously menacing 16th century priest to the doe-eyed and intellectually voracious blonde archeologist with a nice rack. I was amazed at how atmospheric his reading was. This story has plenty of atmosphere, let me tell you. It swings through history and geography, science and the supernatural, and Mr. Baskous's reading is beautifully evocative of each time and place and character. Wonderful. I loved Professor Erin Granger. She is a true scientist with the real understanding of human emotion. Perfect as the primary perspective through which this story unfolds. Rhun Korza. Romantic, tortured, fabulously male and richly realized in Mr. Baskous's wonderful voice. Jordan Stone was a close second. He is heroic and manly in a straightforward, very American way. Both men so different. Mr. Baskous is a really talented artist. A different kind of James Rollins book!! I'm a real fan of Rollins' Sigma books, so I picked this book up without giving it much thought. The involvement of vampire like creatures, which is not really my thing, made it a bit difficult for me to get into this story. For this kind of book, I did believe it had some very interesting parts. It revolves a lot around the Catholic Church traditions, saints, faith, and history. Beginning with an earthquake at Masada, Israel, a bomb and strange sacrificial remains are found below the mountain. This space is also occupied by some undead creatures. Some are evil and some have salvation from the blood of Christ. They are all searching for the Blood Gospel, supposedly written by Christ himself, which will supposedly reveal magic powers to whomever finds and opens it up. Sent by the Vatican, three chosen ones go in search of this book----a brilliant but disillusioned woman archeologist, a military forensic expert, and an undead Vatican Priest. Of course their search is hindered by those evil ones who want the book for themselves. Among the undead, is Rasputin in Russia, who blames the Vatican for not caring about the hoards of children who were left to die during the siege of Leningrad. I found these sections connected with history to be some of the most interesting parts. This is the first in the Sanguine Series. The Sanguines being a Vatican sect that was rumored to start in Biblical days, and whose start was depicted in a Rembrandt painting. Now that I've finished this first book, I do feel driven to continue on with this series to see what happens next. I think in the long run, I will really like, or really dislike this series. Sometimes it is hard to read a different kind of a book by an author whose writings you already adore!! What would have made The Blood Gospel better? you telling me the truth about what the book was about, I ve been listening for over 25 years and this was worst ever. 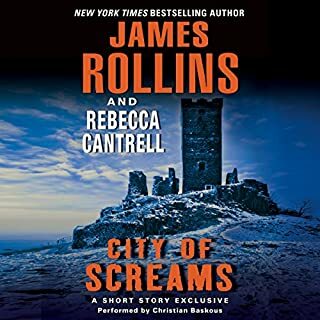 Would you ever listen to anything by James Rollins and Rebecca Cantrell again? 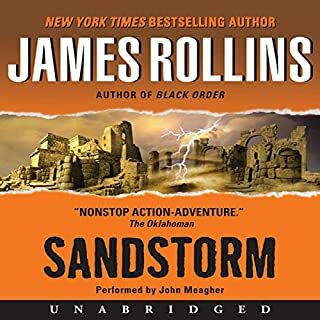 I'm a long-time fan of James Rollins and have been waiting for this book since he first mentioned it. The book is incredible. There is an intimacy about the book that brings the characters to life as we find out their background stories. It made me care for what at first might seem to be at least one unsympathetic character. 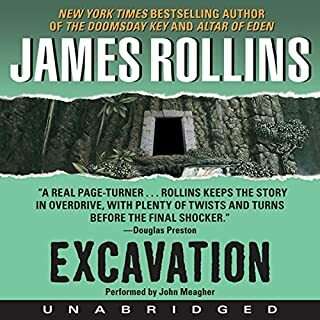 When I first heard that there might be the "v" word type of characters in the book I has hesitant to read it - but I have read everything by Rollins so couldn't let this one go by. I was not disappointed. Well, my only disappointment is that I have to wait a year for the second part of the trilogy. My one problem (minor) is with the narrator. He does some incredible accents - but some of them are so heavy that I have a hard time understanding what the character is saying. I think when I relisten to the book (prior to the second part coming out) I may have a copy of the book to refer to so I know what is being said. But this is certainly not a reason not to listen to it. I can't say enough good things about this book. Maybe I will just go ahead and re-listen to it. It was that good. The book was recommended by a good friend that adored the author - James Rollins. While there have been plenty of fascinating concepts to catch my attention, the plot was bogged down by clichés and an uninteresting plot. The protagonist, Erin, is a Mary Sue Archeologist. Jordan is absolutely unnecessary to the plot and the love triangle was even more needless. The saving grace of the book has been clever integration of historical events, and it is a disappointment there wasn't more of that.